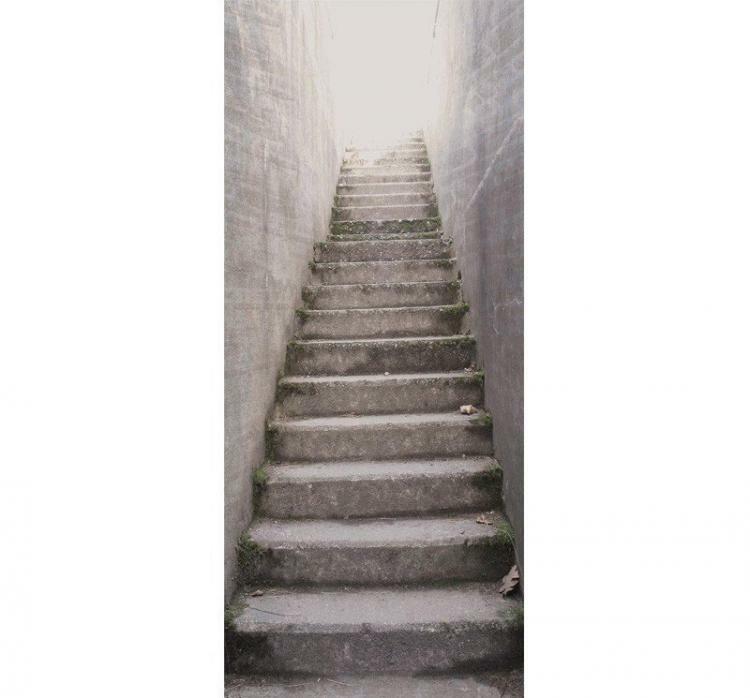 Sometimes it's nice to think that the door outside of your room will go to an enchanting place where you could walk up a set of rustic concrete stairs and view the city from a breathtaking view through a green and lush forest where a pack of wild yak gently parade through the jungle floor below. In reality, the door leads to the outside of your dingy apartment to the distinct smell of curry and week old garbage bags that are piled up in the corner of the hallway. It's nice to dream... This door mural makes it look like your door is already open, and the doorway leads to a set of concrete stairs that take you up a path to what seems to be enlightenment. The stairs door cover uses adhesive to attach to your wall and can easily be removed without any damage to your door. The door mural is easiest applied by removing your door handle, applying the adhesive mural, cutting a hole through the mural, and reapply the door knob. 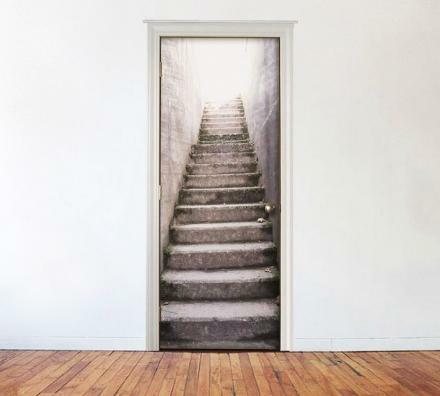 The stairs door mural is made from canvas that has a print of a high-definition realistic photo, is printed with highly-resistant water based paint, is bubble resistant, and measures 33.5 inches wide x 83.9 inches tall.